Because of our commitment to designing custom telecom solutions for each client as an individual, STK Networks has acquired a very diverse client base that reaches across the country and into many different professional industries. This unique approach enables our team to develop innovative service packages and platform solutions that have the ability to evolve and grow as needed to respond to the demands of each customer. 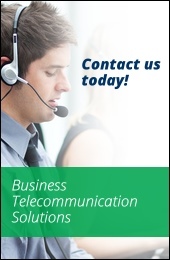 Our attention to customer service does not stop at our dedication to custom telecom solutions development. At STK Networks, our focus is on customer satisfaction, ensuring that the needs of each client is attended to diligently and that each client feels well taken care of by our professional staff. The special care and attention that we provide to our clients, helps us to improve our services, performance and overall customer satisfaction at every stage of the process. We believe that strong customer service is not just good for business, and we utilize our customer feedback and contact experiences to help adjust our services to ensure that we exceed industry standards wherever and whenever possible.